For the past 2 years I have been attending college full-time to finish up my Associates degree in Human Services (Received Dec. 2015). 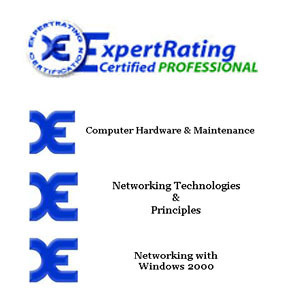 My previous background is rooted in Computer repair, Networking and maintenance of computer related systems. I have also successfully managed and maintained a "part-time" company for the past 15 years that has had an average of $50K a year in taxable sales. regularly monitoring and reviewing the quality of the local youth work provision. Filing, record keeping of daily log and records for various children. Answering phone calls at Main switchboard directing callers to appropriate departments and providing answers to questions related to the program. Purchasing inventory in bulk lots, wholesale and other sources. Daily duties included scheduling all mill related and plant Slab Hauler and Railroad car movements. Directing all outside and incoming railroad and vehicles into the plant and throughout the company. Maintaining direct radio contact with all railroad engines in the areas throughout the plant at all times. Database updates and employee work schedules, vacation times, and shift work schedules. Maintaining a current inventory of all incoming steel slabs and rolls and inventory to be shipped. Directed all movement of inventory to ship out through railroad and shipping trucks within the assigned mill through use of handheld radios and desktop software. Issuing paychecks and safety gear to all employees as required. Maintaining a daily checklist of safety procedures and safety checks for all equipment related to mill work. All hardware related PC / Network problems. Various Network cabling runs and installations. PC configuration and repair, set-up and installs. Procuring and ordering of entire plant PC and network related materials. Ordering and maintaining spare inventory for emergency outages. Inventory control of all plant Network and PC related equipment through use of online database programs. Maintaining databases for warranty repairs throughout plant. Works along side vendors for orders, repairs and Quotes for work orders. Manage and schedule of (5) co-workers (Area Coordinator) work jobs through use of computer based systems. Submitting job quotes and bill-of-sale to Accounting Department for payments to outside contractors and vendors. Human Services program is to provide the knowledge and skills necessary for students to pursue a rewarding career in a wide variety of helping professions. * Students are taught to develop their talents, assess clients’ needs, identify community resources, and problem solve and advocate for their client—all with the goal of making a difference in the lives of those unable to help themselves. Proper Disposal of all PC, Network related materials according to the EPA and Federal mandates. Short class on how to animate using computer software. Concepts of treatment plans and processes, child and adolescent maltreatment symptoms and interventions, learning styles, abilities, and disabilities, educational partnerships with schools, basic communication techniques, group dynamics and team-based systems and mufti-cultural awareness. A continuation of Introduction to Psychology I, this course explores thinking and feeling, the developing person, and health and disorders. Also covers emotion, motivation, theories of personality, development over the life span, and approaches to treatment and therapy. Safety training with MD State Police about safety of handling of firearms. 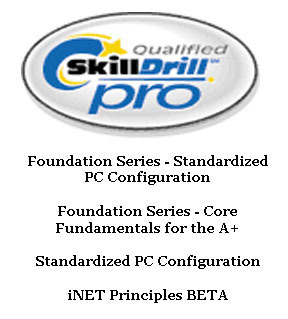 Essential knowledge and skills needed to confidently design, configure, manage and troubleshoot any wired and wireless devices. Installing, maintaining, customizing, and operating personal computers. 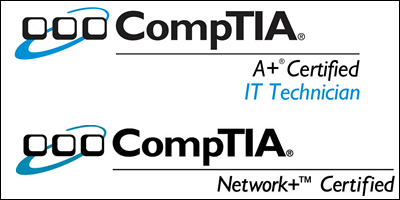 The A+ certification is sponsored by the Computing Technology Industry Association (CompTIA). Popular network operating systems include Windows, Mac, Linux, and NetWare. Network operating systems support connectivity to the Internet and to local area networks. A computer network or data network is a telecommunications network which allows computers to exchange data. In computer networks, networked computing devices exchange data with each other along network links (data connections). The connections between nodes are established using either cable media or wireless media. The best-known computer network is the Internet.